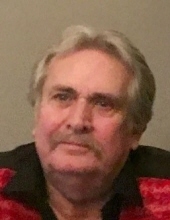 Charles Dilling Ingle, 66, passed away at his residence on April 7, 2019. He was born on October 24, 1952 in Atlanta, Georgia to Mary P. Ingle Gaddy and the late J. C. Ingle. He was a home builder with LGI Homes. He attended First Baptist Church of Jonesboro. Charles will be greatly missed by all who knew and loved him. Charles is survived by his wife, Susan Mikell Ingle; his mother, Mary P. Ingle Gaddy; his step-father, Richard Gaddy; his brother, Tim Ingle (Tenna); his sisters, Cindy Stearley (Mike) and Angie Fruen; and several nieces and nephews. A funeral service will be held at 2:00 PM on Wednesday, April 10, 2019 in the Chapel of Mowell Funeral Home, Fayetteville, with Ray White officiating. The family will receive friends from 1:00-2:00 PM prior to the service at the funeral home. In lieu of flowers, the family lovingly requests donations in Charles’ memory to the Henry County Humane Society, 46 Work Camp Road, McDonough, GA 30253, https://www.henryhumane.com/. To send flowers or a remembrance gift to the family of Charles Dilling Ingle, please visit our Tribute Store. "Email Address" would like to share the life celebration of Charles Dilling Ingle. Click on the "link" to go to share a favorite memory or leave a condolence message for the family.